LIMA, (Reuters) – Peru’s most powerful conservative party vowed yesterday to stop engaging in disputes with other political groups, a dramatic opposition shift that could help President Martin Vizcarra pass legislation. Once emboldened by its solid Congress majority won in the 2016 election despite losing the presidency, the party, Popular Force, is in crisis as its leader Keiko Fujimori faces three years in jail over charges she denies. Fujimori has tasked an “emergency committee” with rebuilding the party after a handful of its top leaders resigned this week. In a rare mea culpa, Popular Force Congresswoman Ursula Letona, a panel member, said the party should have focused more on lawmaking in the past two years, which were marked by hostilities between the executive and legislative branches that led the former president to resign in March. “We did many things, but we also fell into the confrontation game and that was a political mistake we acknowledge,” Letona said, without mentioning specifics. But it was unclear who would lead Popular Force if a judge orders this week that Fujimori, 43, be jailed before trial for up to three years to ensure she does not flee or obstruct a criminal inquiry. It was time Fujimori step down as party president, said One Popular Force lawmaker, Rolando Reategui, who admitted this week to being an informant for prosecutors. A twice-defeated presidential candidate and the daughter of former autocrat Alberto Fujimori, Fujimori denies prosecutors’ allegations that she used Popular Force to launder money for Brazilian builder Odebrecht during her 2011 campaign. She has described her legal troubles as political persecution but said she would never flee. “I’ll face this process in the name of the truth, in the name of my party and in the name of my family,” Fujimori told the court on Thursday. An unfavorable ruling could dash Fujimori’s chances of winning the presidency in mid-2021 elections, opening the way for outsiders to sweep to power in the world’s No.2 copper producer and one of Latin America’s strongest economies. The judge assigned to the case, Richard Concepcion, has ordered two former presidents to so-called “preventive prison,” or pre-trial detention in connection with Odebrecht, which has been at the center of Latin America’s biggest graft scandal. The investigation into Fujimori and her campaign finances has also rippled out into other institutions. 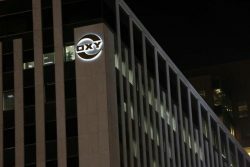 The head of Peru’s tax agency announced his resignation yesterday after the lead prosecutor on the case suggested he helped Fujimori launder illegal funds from Odebrecht. He has previously denied wrongdoing. 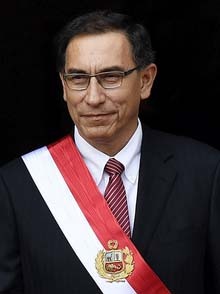 Outgoing Popular Force Secretary General Jose Chlimper told Reuters he was taking leave as a director of Peru’s central bank to fight an accusation against him that surfaced at the hearing. Fujimori’s approval rating fell to 11 percent in a Datum poll on Thursday, below the 12 percent for Antauro Humala, an ethnic nationalist in prison for murder. But many Popular Force lawmakers have defended her.